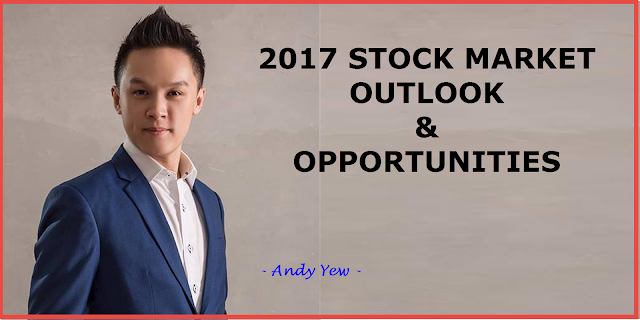 2016 was a year with alot of uncertainties and surprise for Singapore stock market,. We started 2016 in a panic mode as oil price crashes below $27 and ended 2016 with a bullish mode with dow jones hitting all time high. Oil price was up more than 100% from the low, a surprise rally after Brexit and a unexpected rally after Donald trump got elected. 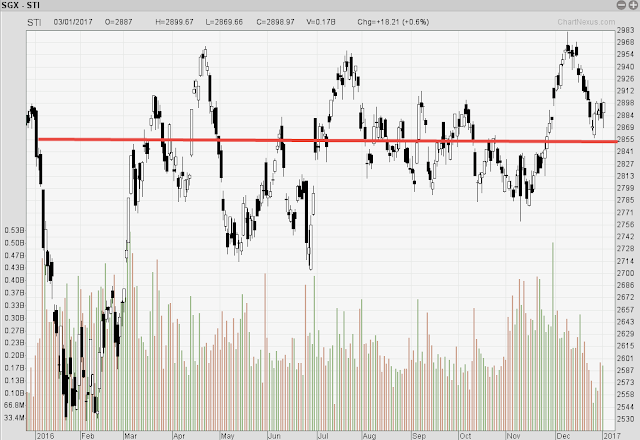 STI - up 0.23% close at 2880, highest 2981, lowest 2529. What we can see is that most of the Asian market is not doing so well, mainly due to capital flow to US market. 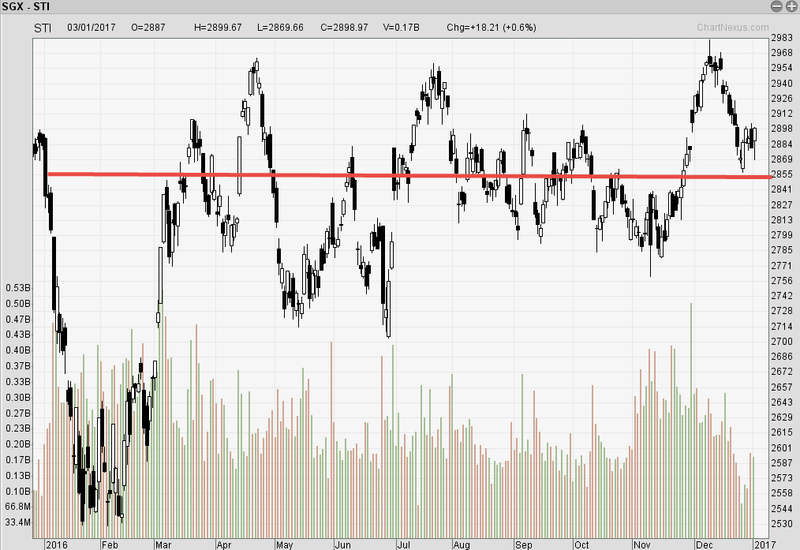 STI traded near 2850 throughout the year. Highest it reach was 2981 when bank sector rally, lowest it went was 2554 when the oil price was trading below $27. Will the Oil stock rebound in 2017? Oil prices is rebounding as mentioned above it moved from $27 to $55, that already tell you that it is obviously not downtrend . With OPEC and other producer agreed on output cut, oil stock could be one of the highlight for 2017. In 2016, we see that oil stock falling to the lowest point, Ezra & Ezion was at $0.037 & $0.210 respectively in September, that was during the news of "Swiber default on bonds" came out. 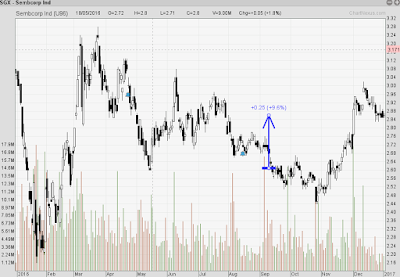 Now they are $0.05 (up35% from the low) & $0.39 (up 85% from the low) respectively. To me, both is risky stock but Ezion seems to give a better return in terms of the magnitude of the previous upward movements. 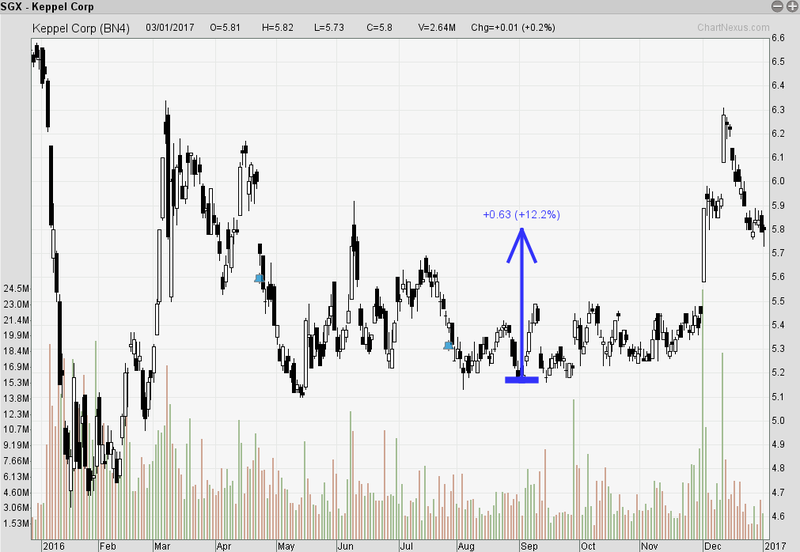 What about Sembcorp & Keppel Corp? 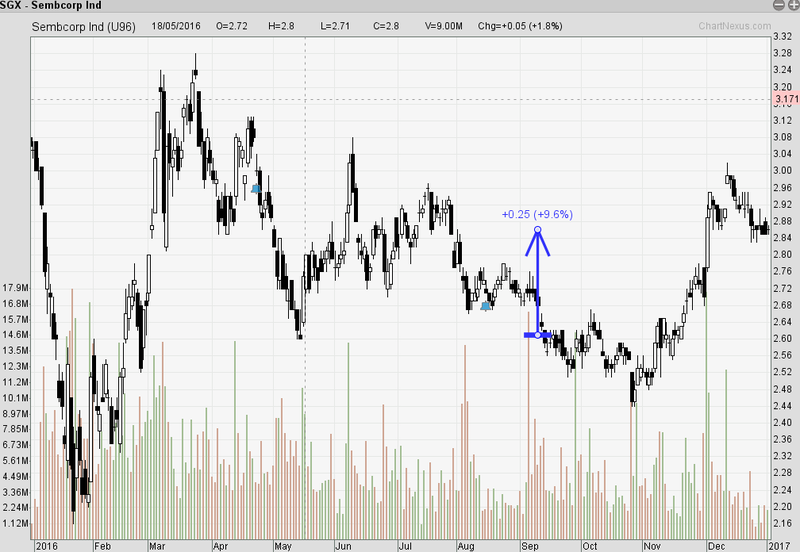 Keppel and Sembcorp was trading volatile during the first half of the year, mid year was pretty sideway. Only in November the price start to jump up again. 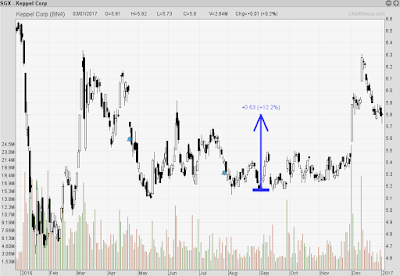 Overall, both stock seems similar in pattern but I will favor Sembcorp Ind over Keppel corp as Sembcorp Ind has better performance than keppel corp over the past few years. Further more, part of keppel corp's business is also in Property, if interest rate up, property sector maybe gloomy.